This article is going to be extremely useful in almost every sector of modern science. And The Students of computer science and software engineer must know about (algorithm ). These two things are connected and Related to "Mohammad Ibn Musa Khwarizmi 'famous Muslim scientists who have passed Mathematics in the eighth and ninth century. 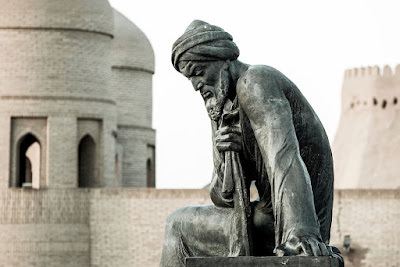 a short introduction about Mohammad Musa Khwarizmi that he Born around 780 AD Persian Gulf region, Khorezm, That it is in Uzbekistan, and in the present is called 'kyu'. After math skills in various fields, he moved to Baghdad as a scholar of the 'House of Knowledge' under the Abbasid Caliphate (scholar) joined and lived here until his death in 850 AD. And this is the way that we can perform arithmetic with great convenience factors as we gather today, negation, multiplication and division. In which he also told in detail how to solve everyday problems of algebra and arithmetic are unknown quantities to be known. They are used just like today Khawarizmi were presented. The book finally algebraic calculations per ualmqablh 'book was so popular that it was the important textbook of mathematics in the Golden Age. And it also taught advanced mathematics book as key institutions of higher education in the next several centuries, Like European countries (universities). During Translate in European languages introduced new mathematical Arabic title short of the 'Algebra' which is coming out this subject until today. The name of the algorithm in Latin was' algorithm '' (Algorithm) and the mathematician became famous in the West by the same name. In the twentieth century, when the computer was invented in AD acknowledged experts devised a systematic way of writing computer programs or software that Mohammad Ibn Musa Khwarizmi services 'algorithm' that arose. 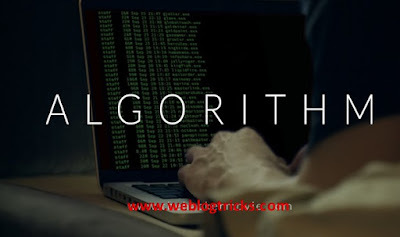 The 'Algorithm' relationship is not a computer programming language but managed to rules that perform a specific task and sequential combination is that of keeping a computer program (ie software) written. Computer Science plus medicine (in Medicine) sector also manage the treatment of diseases ranging from diagnosis and sequential method is also called 'algorithms'. That is Mohammad Ibn Musa Khwarizmi name is still alive today in modern science. It is another matter that the Muslims could not be further from the general 'intelligent customer' and be proud to read your great achievements but does not try to follow in their footsteps.